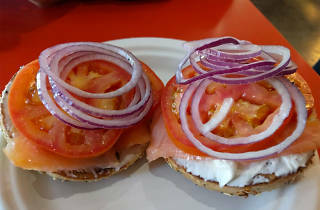 Unlike other bagel shops in town who highlight connections to New York City, Manhattan Bread & Bagel is named because it was founded in Manhattan Beach, and the bagels, along with the entire bakery, have a distinctly Southern California vibe. A popular breakfast and lunch spot, Manhattan Bread & Bagel is a full service bakery, its counter filled with crusty baked goods and flaky pastries alongside stacks of bagel baskets. The bagels themselves are dense and heavy, with a lighter crust that stays chewy even when toasted. 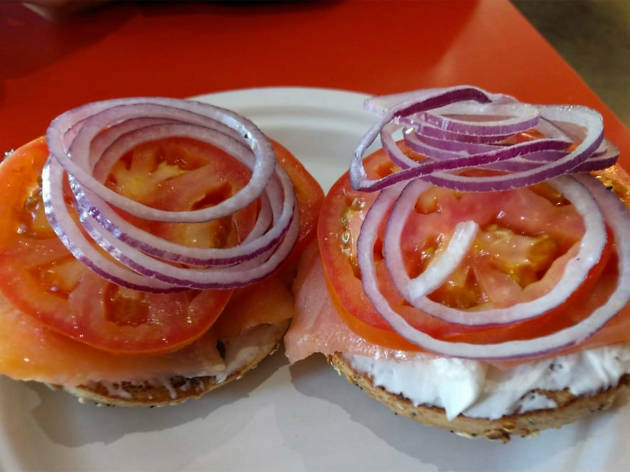 There are a wide variety of styles and flavors of bagels, with rotating specials popping in and out according to the season.